Bestselling author TJ Clementine is terrified when her “biggest fan” begins sending her threatening letters. Only ruggedly handsome loner Silas Walker can protect her... but can she trust him? Meg Anderson walks back into bachelor Wyatt Jackson’s life with a child he never knew existed. Will Wyatt be able to protect Meg and his daughter from a past Meg fought hard to forget? DEA agent Rob Allerton is the only person who can help Paige Riddell, but she wants nothing to do with him. Sparks fly between them, but the men who are stalking Paige will do whatever it takes to keep her silent. 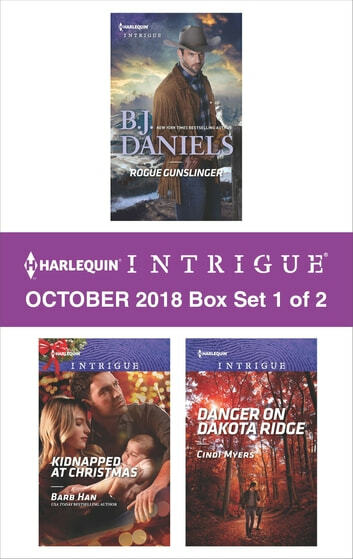 Look for Harlequin Intrigue’s October 2018 Box set 2 of 2, filled with even more edge-of-your seat romantic suspense!